Planned Parenthood chief Cecile Richards was greeted with a standing ovation at “Catholic” Georgetown University Wednesday, where she had been invited to speak about reproductive rights to some 400 students at the Lohrfink Auditorium. Michael Khan, President of Georgetown Right to Life, told the Daily Caller that he was disappointed, but not terribly surprised, that his university had granted a platform to someone so opposed to Christian values. Georgetown Right to Life, along with The American Society for the Defense of Tradition, Family and Property and others, organized a demonstration on campus to protest the University’s decision to invite Richards. Hatchett said that the protesters represented the 13,000 people who signed a petition urging the University not to host the president of America’s largest abortion provider. During Richards’ speech, a campus newspaper, The Hoya, sent out a flurry of approving tweets to give further visibility to her message. “No woman should be afraid to gain access to reproductive rights.” –@CecileRichards on increased animosity at Planned Parenthood clinics. 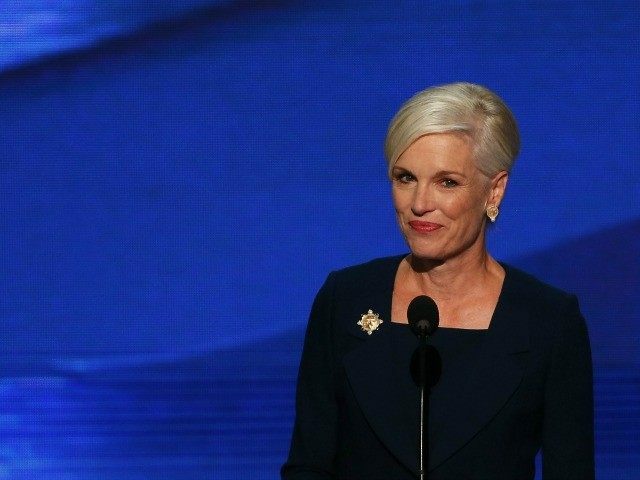 “Planned Parenthood has never sold fetal tissue and never would.” –@CecileRichards on the scam video scandal. The Archdiocese of Washington and its newspaper, the Catholic Standard, criticized the event, but they did not intervene to block it. Though Georgetown boasts of being “the oldest Catholic and Jesuit institute of higher learning in the United States,” it has repeatedly come under fire for having sacrificed its integrity and Catholic identity on the altars of secularism.